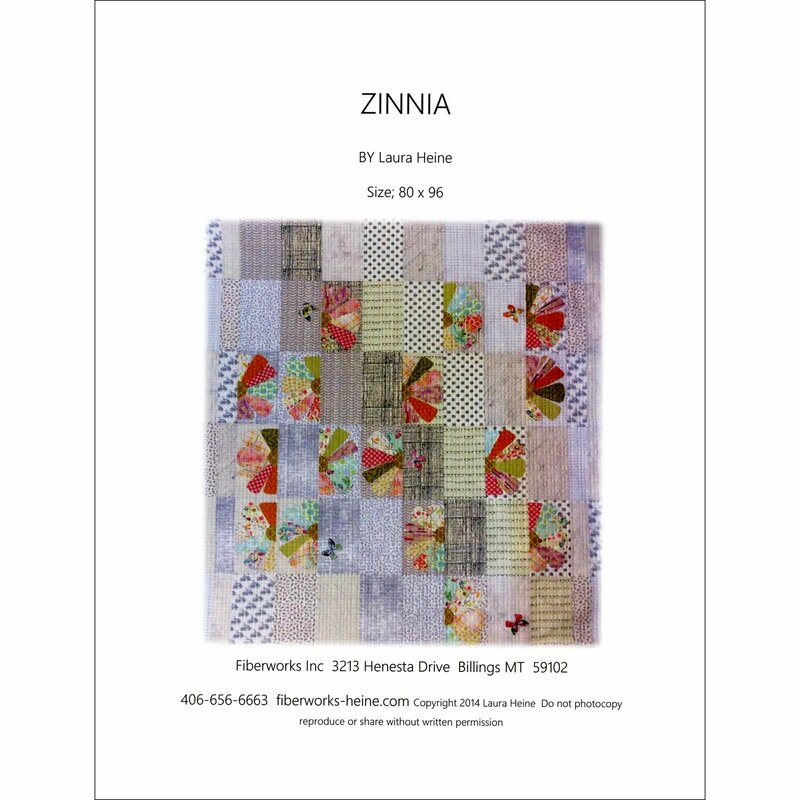 Laura Heine's Zinnia quilt pattern. Full size pattern and complete instructions included. Finished size 58x40.